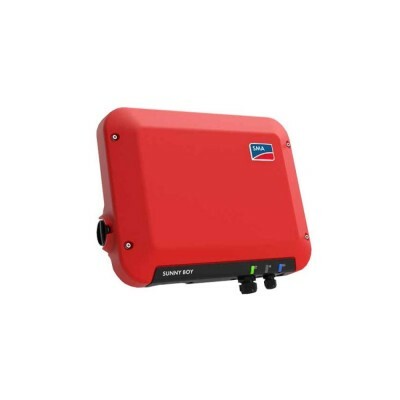 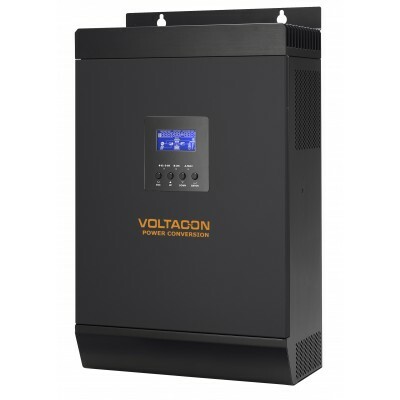 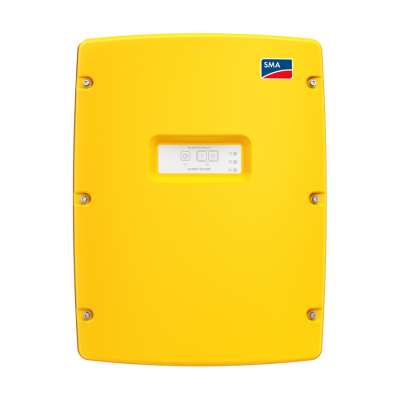 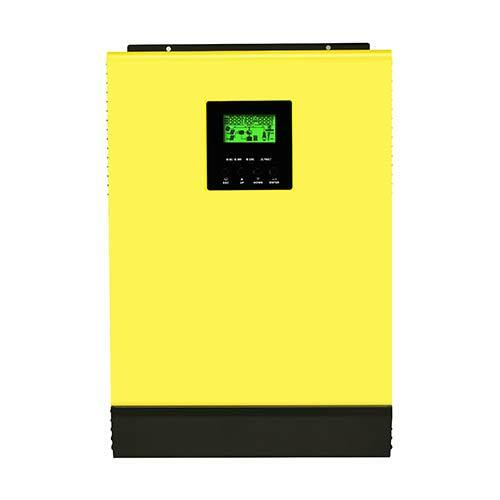 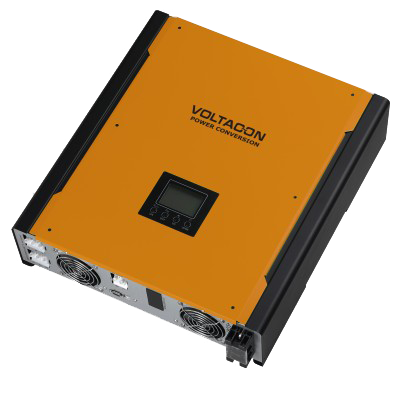 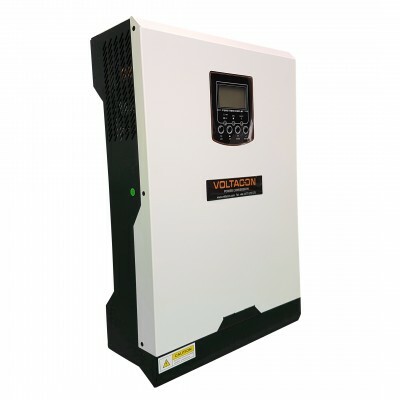 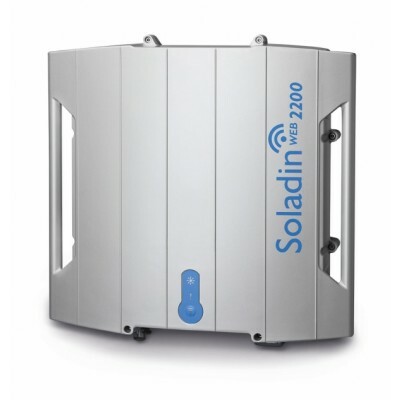 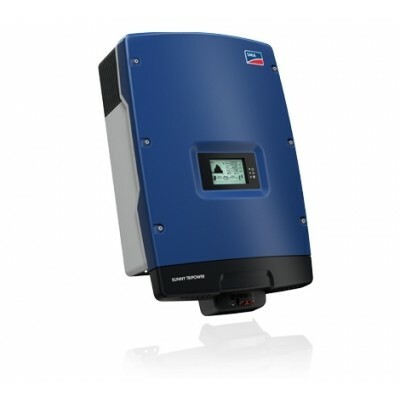 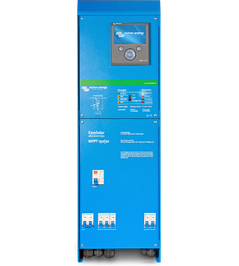 Voltasol is a versatile and intelligent hybrid inverter that operates with solar power, AC utility, and battery power source for a continuous power supply. 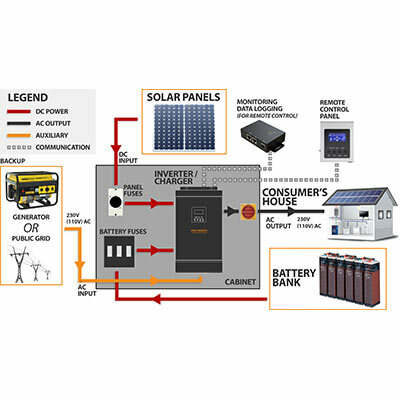 It’s a simple and smart solar inverter with energy storage system for home owners who want to store energy into a battery for night-time usage or use for self-consumption according to the deman. 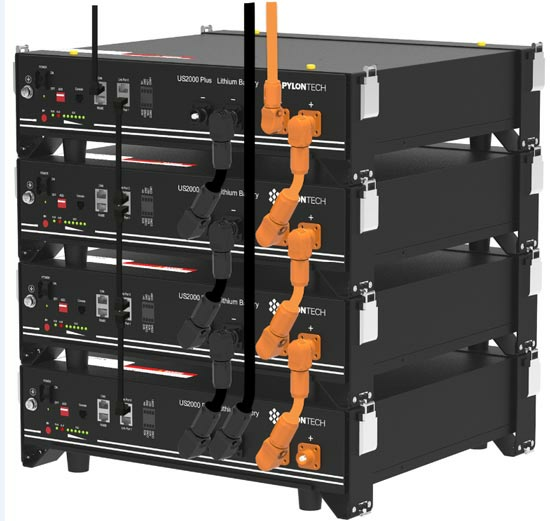 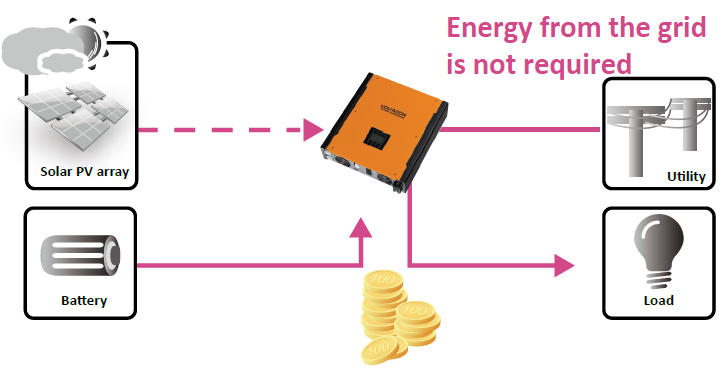 The Priority of the power source is programmable using the smart softwar (Watch POWER). 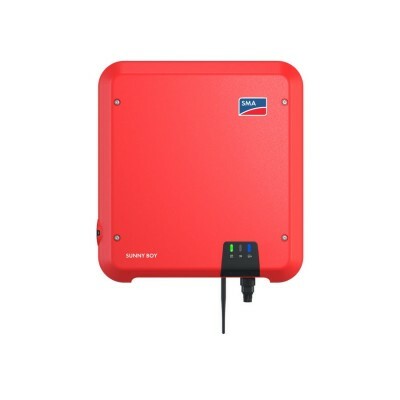 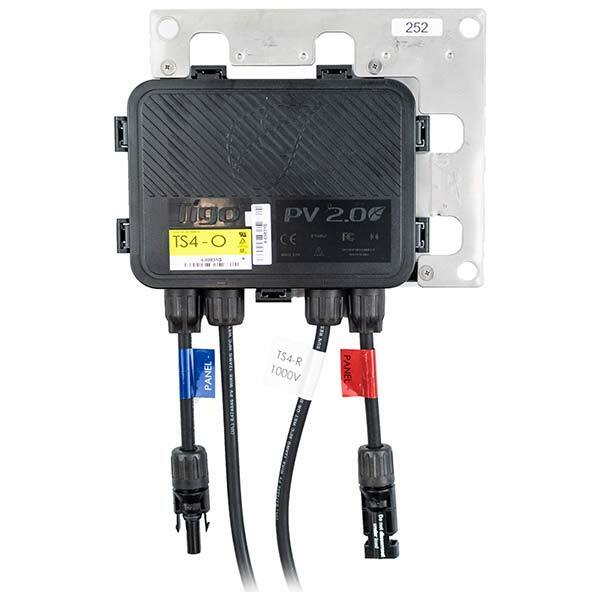 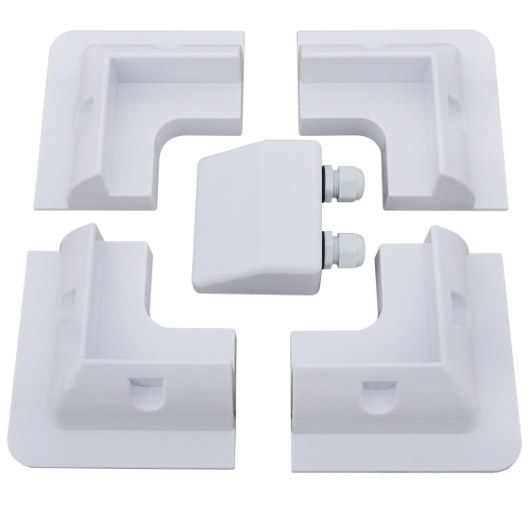 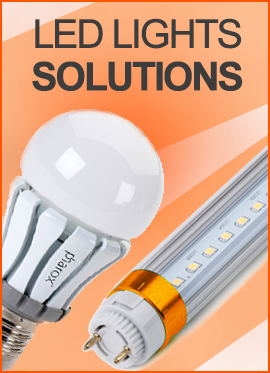 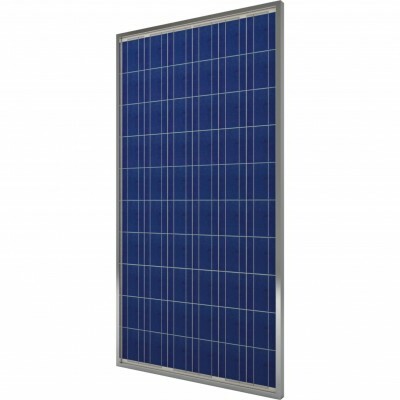 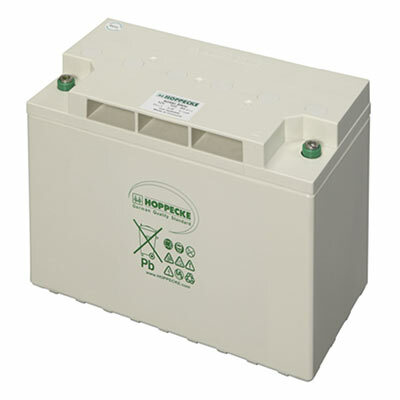 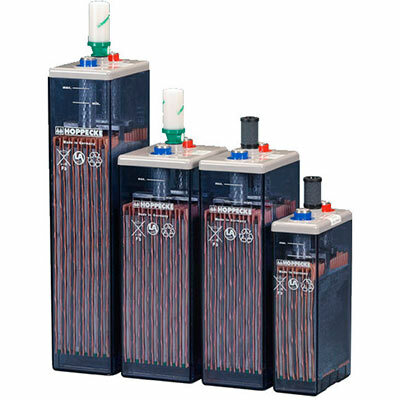 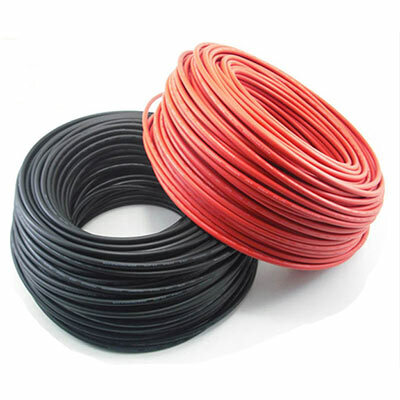 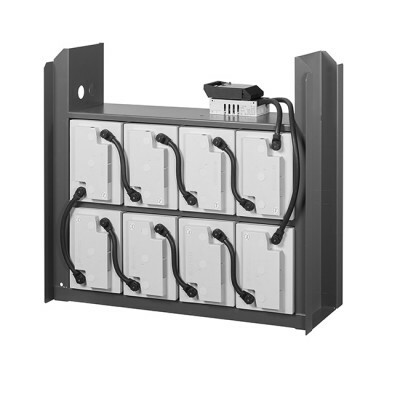 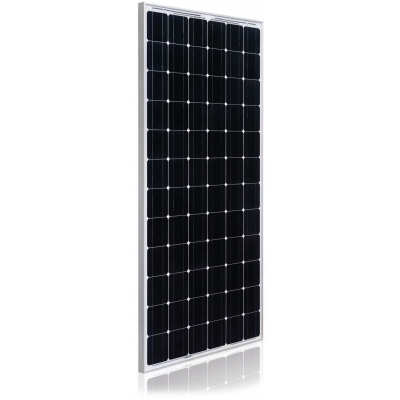 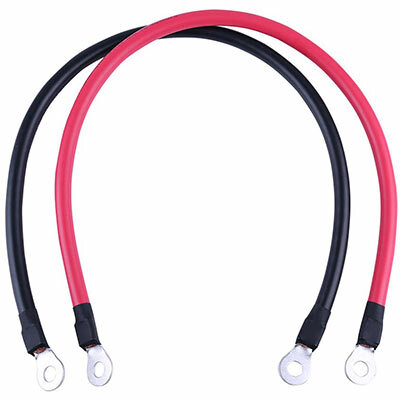 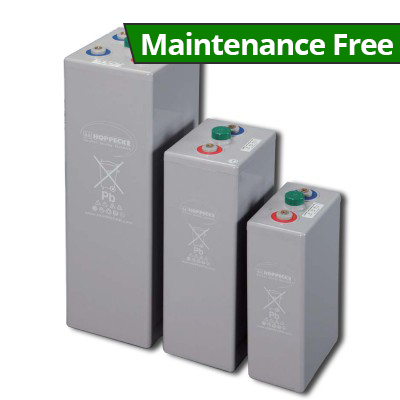 During night time or power failure, it will automatically consume reserved power from the battery. 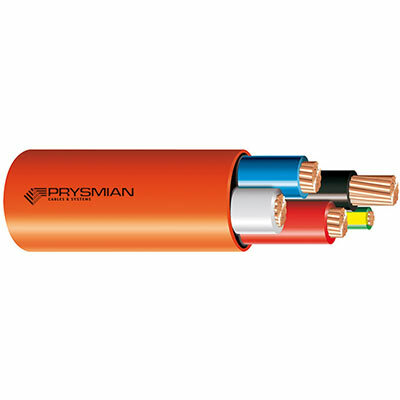 In this way, it will reduce dependence on the utility.